"Why are we learning this?" or "When will we use this in life?" With technology and automation, students see less use for the need of for persevering and solving problems on their own. 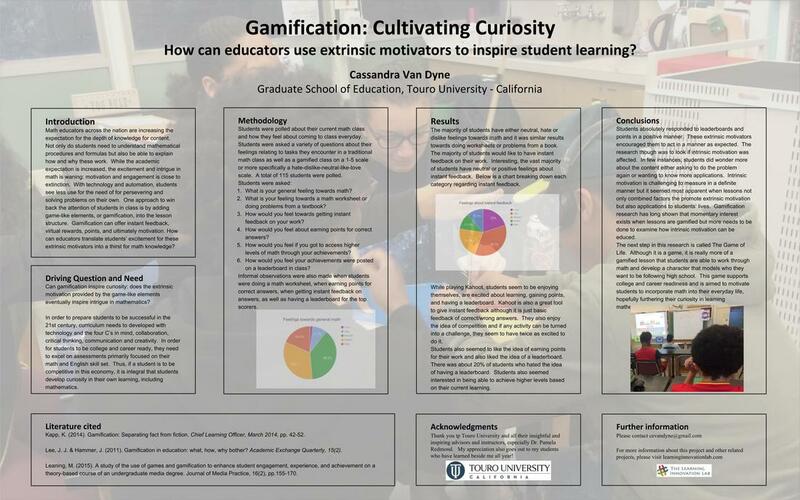 One approach to win back the attention of students is by adding game-like elements, or gamification, into the lesson structure. Math educators across the nation are increasing the expectation of the depth of knowledge for content knowledge. Not only do students need to understand mathematical procedures and formulas but also be able to explain how and why these work. While the academic expectation is increased, the excitement and intrigue in math is waning: motivation and engagement is close to extinction. In order to prepare students to be successful in the 21st century, curriculum needs to developed with technology and the four C’s in mind, collaboration, critical thinking, communication and creativity. In order for students to be college and career ready, they need to excel on assessments primarily focused on their math and English skill set. Thus, if a student is to be competitive in this economy, it is integral that students develop curiosity in their own learning, including mathematics. ​Gamification can offer instant feedback, virtual rewards, points, and ultimately motivation. How can educators translate students’ excitement for these extrinsic motivators into a thirst for math knowledge? 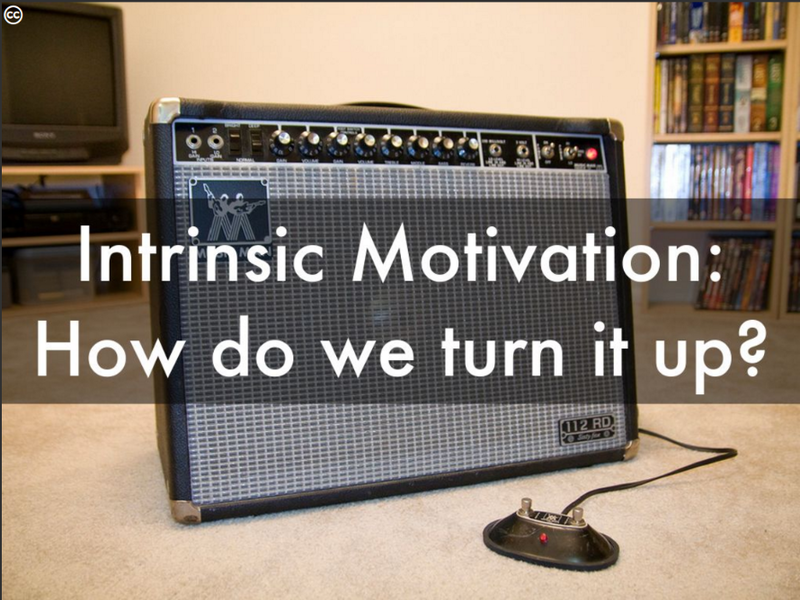 Check out this Haiku Deck which sites research on whether gamification can influence intrinsic motivation in students!